Rosie Danvers has worked with Enya since 1995, creating beautiful back drops of strings and choirs for her promotional performances. 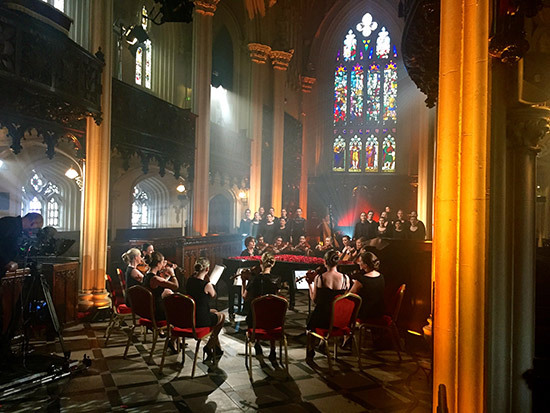 Enya has a stunning new album coming out on 21st November 2015, and in preparation she has been filming performances of her new songs in Dublin and London using Rosie Danvers, Wired Strings and the choir’s of Trinity college, Dublin and the Royal College in London. The musicians were styled by Rosie Danvers.